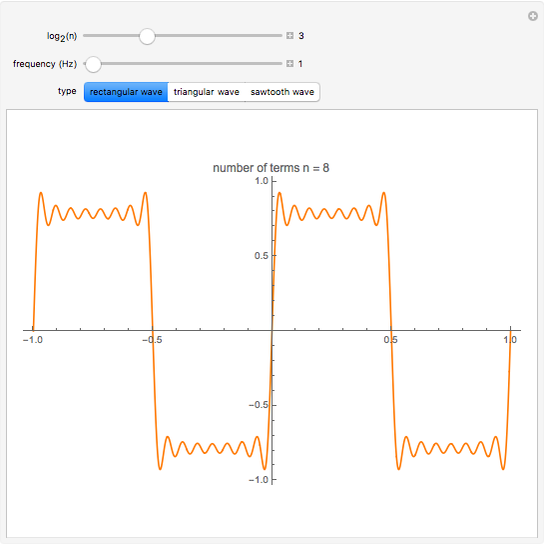 This Demonstration shows how a Fourier series of sine terms can approximate discontinuous periodic functions well, even with only a few terms in the series. 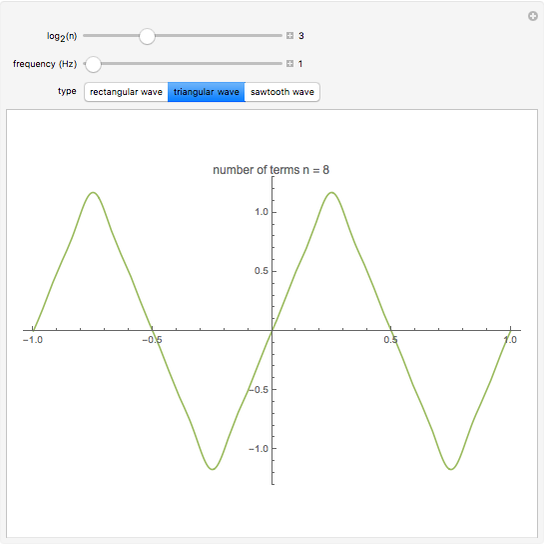 Use the sliders to set the number of terms to a power of 2 and to set the frequency of the wave. 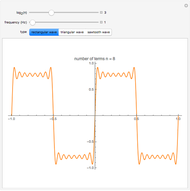 where is the number of terms, is the wave frequency (Hz), and is time (seconds). These are not the only possible ways to approximate the given functions; others can be found in standard mathematical reference books. 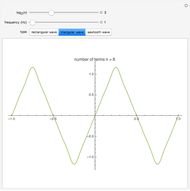 Truncating the series to finitely many terms introduces significant oscillations in the approximation near sharp changes in the ideal function. 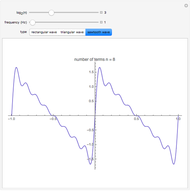 This effect, known as the Gibbs phenomenon, is reduced by simply using more terms. 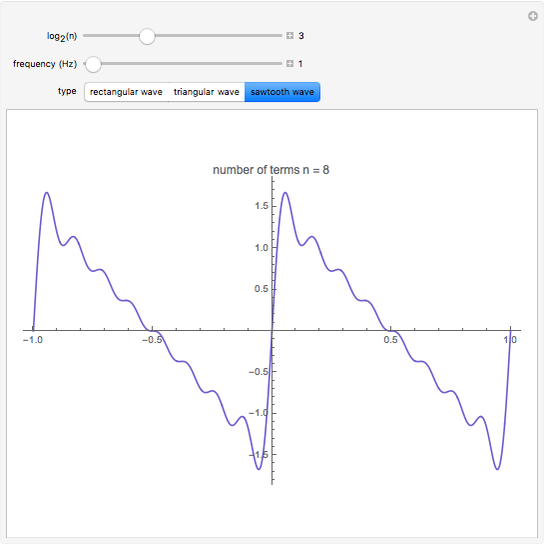 The maximum overshoot cannot be brought close to zero, but the excess area under the curve can be made arbitrarily small. David von Seggern (University Nevada-Reno) "Approximation of Discontinuous Functions by Fourier Series"